Sheila has led the development of the Noyo Center from its inception in 2015. 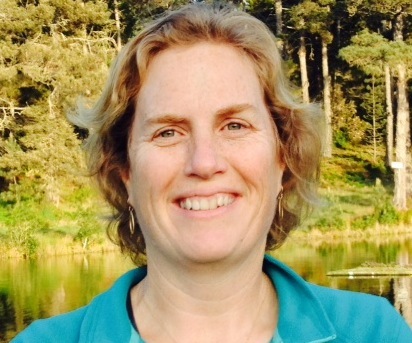 She has worked in coastal and marine conservation for more than twenty-five years, most recently with the California State Coastal Conservancy where she served as senior staff to the California Ocean Protection Council. 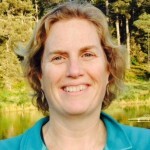 Sheila’s experience developing highly collaborative programs like the California Seafloor and Shoreline Mapping Program or the Coastal Ocean Currents Monitoring Program has enabled her to work with all of California’s marine labs, with local, state and federal agencies, and with academic and industry leaders conducting leading-edge marine research. When not at work, Sheila can usually be found on or near the ocean. Natalie started with the Noyo Center in 2015, and her role within the organization has grown each year. Besides managing the office and assisting with fundraising and events, she has developed a very active volunteer team and stewardship program. She has a degree in Art History from UC Santa Cruz and has worked in the administrative field for over 10 years. Born and raised in Fort Bragg, Natalie takes pride in working for an non-profit focused on marine conservation and coastal health. As Stranding Coordinator, Sarah responds to all deceased marine mammals, working under a collaborative agreement with California Academy of Sciences as part of the West Coast Marine Mammal Stranding Network. This data provides critical information on the status and threat of marine mammals along our coast, human interactions, and the health of our oceans. When not combing the beaches in search of clues relating to our coastal ecosystems, Sarah is in the classroom or out in the field giving a tour as one of our educators. Richard has been Noyo’s go-to bone man for over 3 years now. 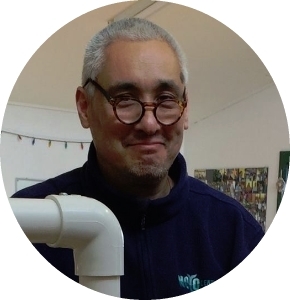 As collections manager, Richard has taken a lead role in the collection and processing of all our marine mammal specimen, most notably our 26-ft killer whale. Working behind the scenes on things like his “maggot motel”, this work is not often glamorous, but our growing specimen collection is more spectacular by the day. Involving student interns whenever possible, Richard continues to work on our 73-ft blue whale skeleton. As the father of two kids, Richard is excited to see his kids grow up with all the Noyo Center has to offer. A lifelong tinkerer and creator. As a kid growing up in Mendocino County, he spent many an hours inventing contraptions in his father’s workshop. After receiving a B.S. Electronic Engineering from Cal Poly – San Luis Obispo he worked as a professional engineer in the Oceanographic, Medical and Environmental Industry. As a designer/engineer Crans’s experience and skill solving technical challenges while mixing the mediums of art and technology to manifest unique creations has always been a passion and joy. Sue has spent the last 30 years teaching kids of all ages in many diverse contexts. A common theme in Sue’s teaching is to share her own insatiable curiosity about learning with the kids she comes in contact with. 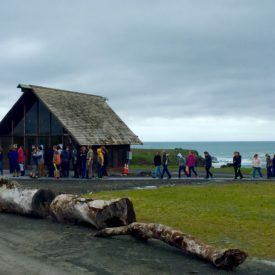 It is from her love of the ocean and her adoration of the wild beauty and nature here on the coast that Sue brings her gifts to the Noyo Center. 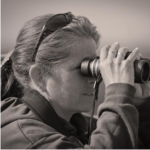 Having started out in 2013 as one of Noyo Center’s naturalist/education team members, Sue now serves the center’s needs more fully as Education Program Coordinator. It is with great delight that Sue continues to explore and expand upon the education programs & camps for Noyo Center. 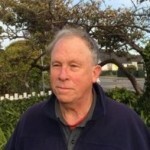 David specialized in environmental law as a partner with Orrick, Herrington & Sutcliffe in San Francisco and as then a principal in his own law firm, and is a former Chair of the California State Bar’s Environmental Law Section. 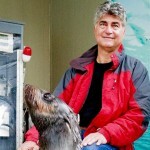 In retirement, he volunteers his time as a Marine Science Docent at local parks and is a Rescue Volunteer for The Marine Mammal Center, helping rescue stranded marine mammals along the Mendocino coast. He also performs regularly with the Americana music group All About Sally. 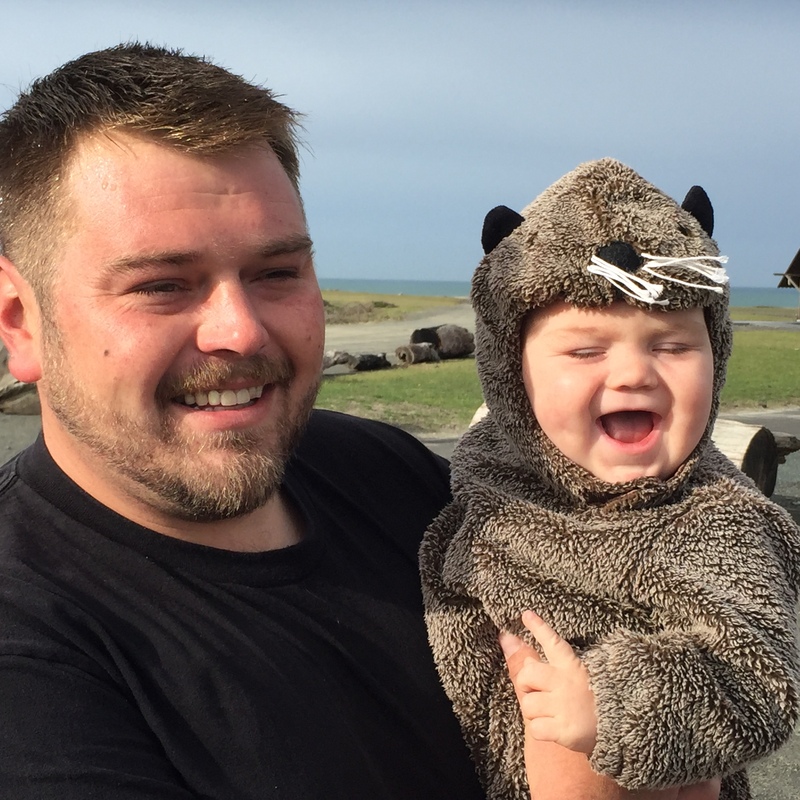 A longtime resident in Elk, Robby spends a good portion of his year as a commercial fisherman based in Sitka Alaska. As a active member of the United Fishermen of Alaska, Robby has participated in many negotiations regarding regulation of our fisheries and creating sustainable harvest measures. Cynthia first came to coast in 2001 and homesteaded a 10-acre forested parcel in Elk where she raised her two sons. She is trained as an architect, promotes sustainable architecture, and was a principal partner/co-founder of a successful architectural design/build firm in Ecuador. She travels extensively and has lived abroad for more than a decade. 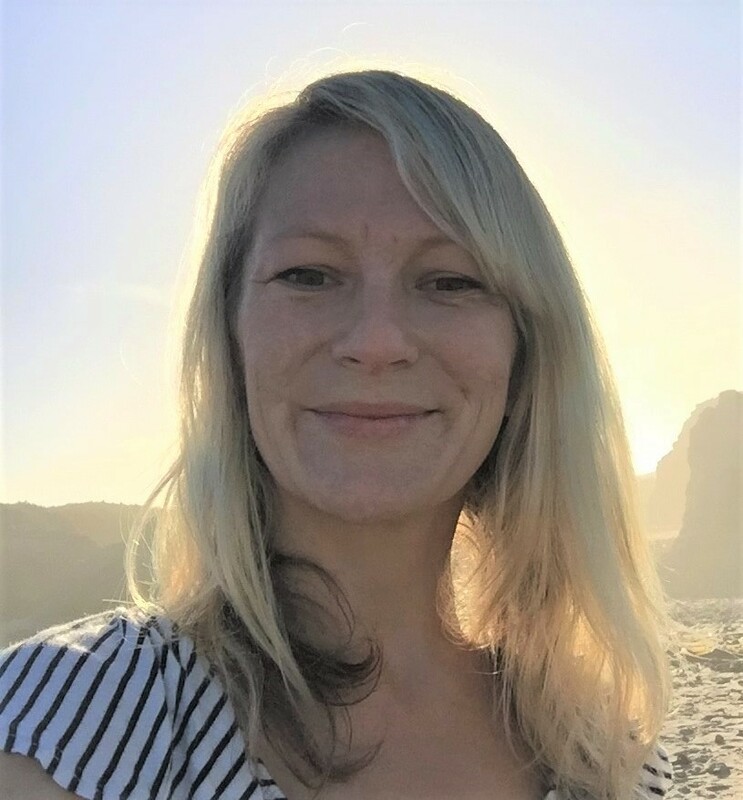 Recently, Cynthia has worked in the Bay Area as a consultant on various projects, with a fair amount of volunteer non-profit work sprinkled in, including volunteering for the International Marine Mammal Project/Earth Island Institute in Berkeley. She continues as Co-Chair of the Building Committee of the Treasure Island Museum. 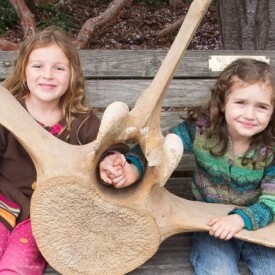 Having recently returned to her home in Elk, Cynthia is now dedicated to making the Noyo Center, and the mill site, a showcase for sustainability and stewardship. She holds a B.A. in Architecture from the University of California at Berkeley, a Master of Architecture in Environment Behavior Studies from the University of Wisconsin-Milwaukee and a LEED AP credential. 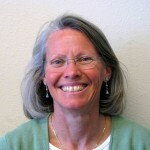 Ginny has lived on the Mendocino Coast since 2010. Prior to calling Mendocino home, she frequently vacationed in Mendocino, camping, hiking and biking in and around Fort Bragg. Ginny is a Certified Public Accountant. During her career, she has worked at large public accounting firms, as a sole practitioner and held the position of Vice President of Finance and Human Resources with a national natural foods distributor. Prior to retiring, Ginny worked with the City of Fort Bragg, most recently as the Assistant City Manager. 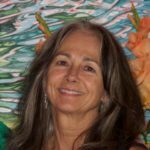 Ginny currently serves on the County of Mendocino Civil Service Commission and as a Board member for the West Company, a not-for-profit economic development organization. Now retired from practicing law, Doug has served the past nine years on the Fort Bragg City Council – four of those years as Mayor. 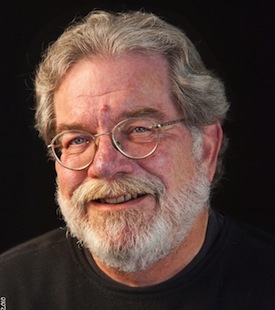 Doug has been an active participant in City of Fort Bragg discussions about the vision, mission and design of the Noyo Center for Marine Science from the beginning. In the process of raising two children, Doug has found the child within; a child that is very excited about the possibilities for the Noyo Center. Elias is a Mendocino Coast native who has spent most of his adult life working to improve communities locally and around the world. While a student in the Fort Bragg schools, he was president of both his middle school and high school Interact clubs, spearheading volunteer efforts ranging from local beach cleanups to the construction of a water well for a village in western Kenya. In the years since, he has traveled to over twenty countries, performing lengthy volunteer service at an orphanage in Romania and a monastery in Myanmar. These days he works at the Redwood Forest Foundation, a local nonprofit that owns and sustainably manages redwood forestland in Mendocino county. Peter settled in Fort Bragg in 2013 after thirty years as a U.S. diplomat. During his career with the State Department he served in China, India, Cameroon, Bosnia, Burundi, Tunisia, Kuwait and Canada as well as in Washington, D.C. Peter grew up in a coastal New England town and has had a lifelong passion for the ocean and the environment — interests he was able to pursue in some of his overseas assignments. Since settling in Fort Bragg, Peter has worked as a California Parks volunteer and has spent many hours kayaking Mendocino County’s rivers and exploring its many parks and reserves. North Coast Brewing Company co-founder and president, Mark Ruedrich, a Zoology graduate from NC State University, moved to the Mendocino coast to pursue a career in marine biology and ended up starting the brewery instead. 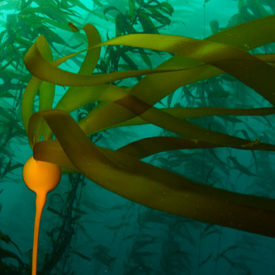 Though as a brewer he applies his biology training to solve a different set of problems than he might ever have anticipated while a student, he has never lost his fascination with the sea and over the last 35 years has spent countless days exploring Northern California’s rich intertidal zone in his spare time. 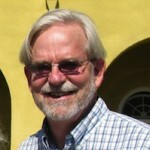 Mayor Dave Turner was first elected to the Fort Bragg City Council in 2002. 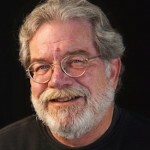 Born in Fort Bragg, Dave attended Stanford University where he majored in “Social Thought and Institutions,” a political science honors program. While attending Stanford, he opened a specialty sleep shop to help pay his way through college. Today Dave is president of FloBeds, makers of the Original Personally Crafted Mattress, which ships customized latex mattresses nationwide. Cetacea is a small, family-run company specializing in skeleton restoration and articulation and will be leading the preparation of the Noyo Center’s 73-foot blue whale skeleton. They lead the field in the world of modern artistic skeleton articulations, building displays that breathe life, portraying subjects as they would exist in the natural world. Located in Golden Gate Park in San Francisco, California Academy of Sciences is California’s oldest operating museum and research institution for the natural sciences, housing one of the largest natural history collections in the world. CAS is authorized under the Marine Mammal Protection Act to respond to all deceased marine mammals along the San Francisco, Marin, Sonoma, and southern Mendocino county coasts. 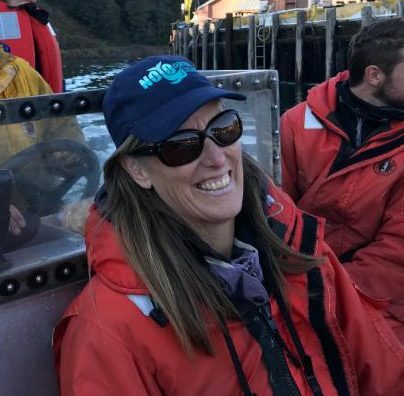 As their designee organization in Mendocino, the Noyo Center is helping fill an important gap in our understanding of marine mammal health and range shifts due to a changing climate. 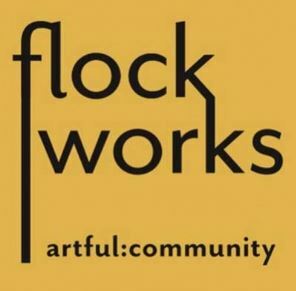 Flockworks is a 501(c)3 nonprofit organization successfully supporting community creativity and local arts initiatives since 2006. We mobilize resources, talents and time, as a ‘platform’ for leadership by community artists to support collaborative art and creative initiatives. We add visibility, vibrancy and access to local arts through exhibits, events, public art, hands-on experiences and collective efforts. We see art and creativity as everyone’s birthright and actively reach out to those with little access to creative opportunities. We believe creative threads tie us together as a community, and positively shape our culture. Most of the photographs on this website were generously donated by two professional photographers, Ron LeValley and Marc Shargel. Their photos can be purchased directly from their respective websites, and will eventually be for sale at the Noyo Center gift shop. Additionally, many of Ron’s photos can be purchased at Mendocino Coast Photographers Guild and Gallery at 357 Franklin Street in Fort Bragg. We strongly encourage you to browse their impressive photo libraries. Many thanks to both of them for all the work they do.